A home inspection contingency has become commonplace in real estate transactions. Usually, the home inspection is arranged by the buyer, who is interested in determining the house's condition to judge the likelihood of imminently having to fork out additional money for repairs. However, the person who is selling his home may wish to be proactive by scheduling his own inspection prior to putting his house on the market. The intent here is to fix problems straight away so that buyers see the property in as pristine condition as possible. Moreover, the seller can expect to recover repair costs (as well as the cost of the inspection) through a higher closing price. If you want to professional home inspection service, then contact Home Inspection Mississauga professional for inspecting your property. This kind of home inspection is known as a pre-listing inspection. Its purpose is to help make the house more appealing to buyers than others on the market. It shows that the seller cares about offering value in return for a fair price. This advantage can be crucial when supply is much greater than demand, such as what we are experiencing today. Staging one's home is a technique that helps buyers to visualize it more easily as their own. The pre-listing inspection has a similar effect, helping buyers to see the pluses about the property more than its potential drawbacks. This essentially preempts doubt in the buyer's mind about possible hidden defects and dissipates worry. He views the seller as someone candid, someone showing his hand by openly disclosing everything. The buyer is now less inclined to seek protection through contingencies and the transaction becomes more or less hassle-free for both sides. It's a simple process. The home inspector, whose fresh eyes and objectivity may discover many things unaware to the owner, examines the house according to state and professional standards and with the guidance of extensive checklists. His inspection identifies defects of all types, including safety hazards, major problems requiring immediate attention by professional contractors, and minor issues easily and quickly addressed by the home seller. It's important that the inspector is qualified (licensed) to do, and does, a pest inspection, which will both investigate for wood-destroying organisms and reveal any areas high in moisture or even condensation and similar conditions that could attract infestations. All of the home inspector's findings are compiled into an inspection report. The seller should view the report as unemotionally and as objectively as possible, and from the perspective of a buyer. He needs to prioritize the report items according to what is likely to matter most to the prospective purchaser. Then he rectifies the top priority defects, hiring Mississauga Home Inspection professionals. Only at this point does he take the steps to list his home for sale. He puts the inspection report and all records of work performed into a folder, leaving it out for public view. This affords agents and their clients the opportunity of examining what is, in essence, a recent maintenance history of the house. The seller hopes that potential buyers so appreciate his goodwill that they feel impelled to make a quick offer. They may even decide to forgo the home inspection contingency as a wasted duplicate effort. In some cases the seller might receive competing offers, putting upward pressure on price. The overall tendency is for the house to move quickly and for the seller to realize rapid recovery of his fix-up expenses. 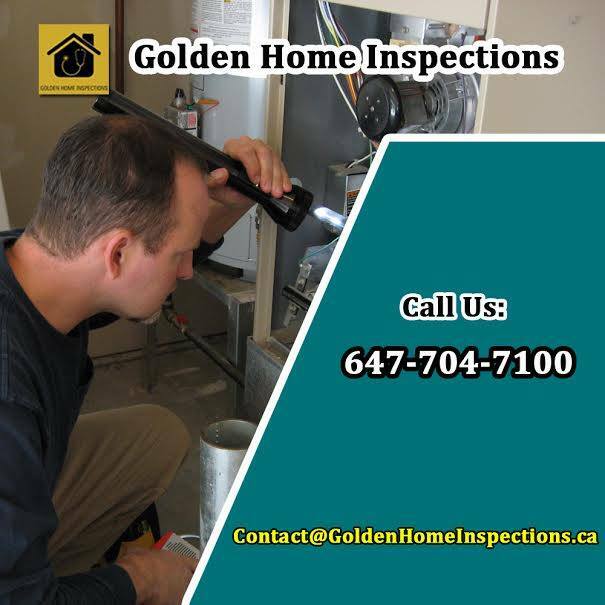 If you need professional home inspection service visit http://goldenhomeinspections.ca.